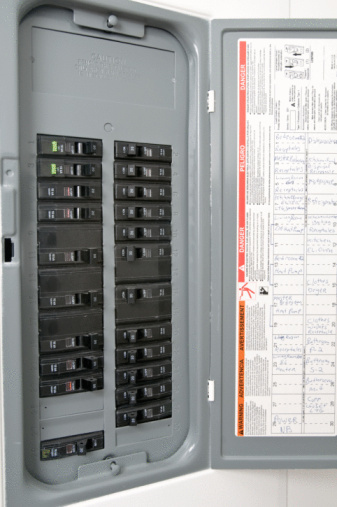 When you run out of space in your electrical service panel (also called a breaker box), you have two choices: have a professional upgrade the service panel or install a subpanel yourself. 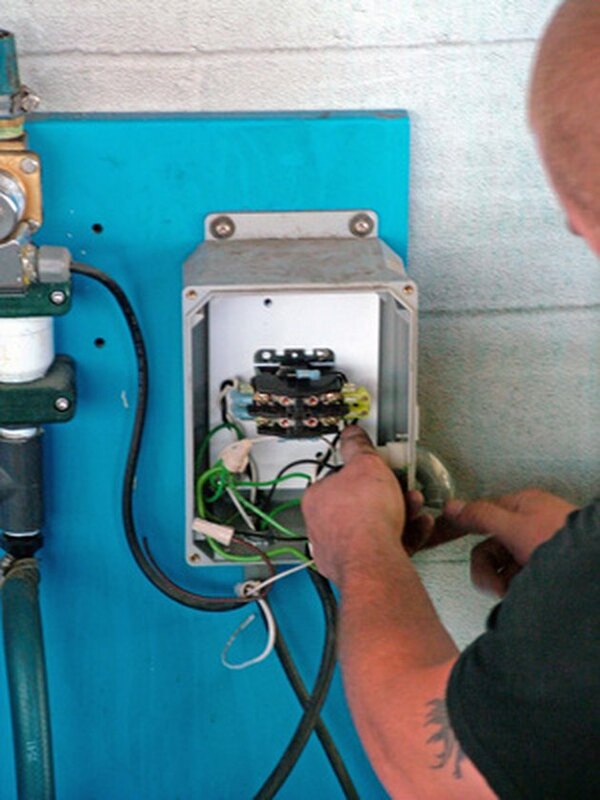 While many people are reluctant to work on their service panel, they are actually very simple fixtures and (when precautions are taken) quite safe to work on. Adding a subpanel is a one-day project that even novices can tackle. Before starting, however, check with your local code enforcement office to confirm that you do not need a professional to do the work. When a service panel runs out of room, install a subpanel. Choose a subpanel with more circuit breaker slots than you need in the short run that has a separate ground wire bus (as opposed to a panel that connects the ground wire to the neutral bus). Remove a knockout cover on the side of the subpanel that will be closest to the main service panel. Install the conduit through this knockout, making sure it is long enough to reach the main panel from where you will be mounting the subpanel. Put the plastic bushing on the interior end of the conduit to protect the wiring from being damaged by the conduit's threads. Turn off the power at the service panel through the main breakers. Remove a knockout cover on the side of the main panel that faces the subpanel. Connect the electrical conduit to the main panel through this knockout. Attach a plastic bushing on the interior end of the conduit. Mount the subpanel on the wall, making sure it is tight against the wall. Depending on the type of wall, you may need to drill pilot holes first. Attach the 6-gauge green (ground) and white (neutral) cables in the subpanel. The ground bus has green terminals while the neutral bus has silver terminals. Feed the ground and neutral cables through the conduit to the main panel. Attach the red and black cables to the hot bus bar terminals near the breaker slots. Each cable has its own terminal. Thread the cables through the conduit. Connect any new circuits to the subpanel, attaching the hot wire to a circuit breaker and the other wires to their respective buses. Clear a knockout panel, install cable clamps in the hole and feed the wires through the clamp. Tighten the clamp to secure the wires. Snap the breaker into place by clipping it to the hot bus bar. Clear knockout plates in the subpanel cover corresponding to the breakers you just installed. Install the panel cover. Connect the ground and neutral wires to their buses in the main panel. Connect the red and black wires to the double-pole breaker and snap it into place on the hot bus bars. You will need two vertically adjacent slots for the double-pole breaker. Reinstall the service panel cover. Turn off all breakers before restoring power to avoid possible power surges that can damage electrical components. Reset the main breaker followed by the individual breakers.